AMELIA ISLAND, FL--(Marketwire - October 22, 2010) - Amelia Island, located in the northeastern corner of Florida, is an ideal home base for visitors looking to experience the annual clash between the football powerhouses of the University of Florida Gators and University of Georgia Bulldogs. Located just 45 minutes from downtown Jacksonville and EverBank Field, Amelia Island offers an incredible selection of accommodation options and special offers for Gator and Bulldog fans. Football fans can enjoy a variety of accommodations on Amelia Island, featuring everything from luxury resorts and quaint bed and breakfast inns to familiar chain hotels and convenient vacation rentals. 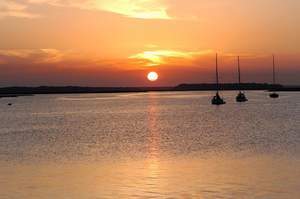 Visitors can check accommodation availability at www.ameliaisland.com. Additionally, several Amelia Island hotels and inns are offering special deals or added-value for this much-anticipated college football rivalry. Deals include third or fourth night free and up to 25 percent discount on room rates. To view the participating properties and the specific deals offered, please visit www.ameliaisland.com/FL-GA-2010. For additional information about Amelia Island and her FL/GA football weekend offerings, or accommodation availability, visit www.ameliaisland.com. Amelia Island Florida is a barrier island rich in colorful history and breath-taking natural beauty. Its long, beautiful beaches, abundant wildlife and pristine waters have made the island a favorite destination for travelers. Forget the everyday getaway; Come make memories on Amelia Island. For visitor information and online planning, visit www.ameliaisland.com. *All accommodation stays are based on availability, include restrictions, minimum stay requirements and prices vary. These offers cannot be combined with any other special offers. Please contact the individual hotels for further details on their availability and restrictions.